This was my first time making meatballs in a non-Pakistani style, but they turned out well. I loosely got this recipe from my Good Housekeeping cookbook, but I made some changes. 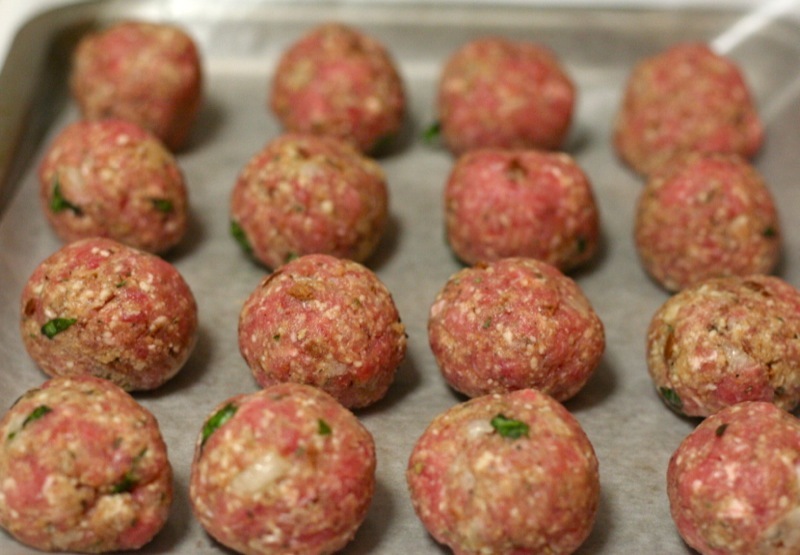 The meatballs stay soft and flavorful because of a pureed onion and garlic mixture. 1. Flavoring the meat: In a spice grinder/tiny food processor, grind the bread slices into bread crumbs, adding in the dried herbs, spices, salt, and pepper. This will yield about 1 cup of bread crumbs. Take out the bread mixture and add in the onion and garlic. Puree until smooth, or at least chopped finely. This keeps the meatballs soft, so you can handle them a little more roughly than usual to ensure a well-shaped meatball. 4. After the mushrooms soften, pour in the tomato sauce and turn the heat down to simmer. 5. Cook the spaghetti. To the hot, cooked pasta, add some olive oil, chopped herbs, crushed red pepper flakes, and grated parmesan cheese (why? because it tastes good). 6. 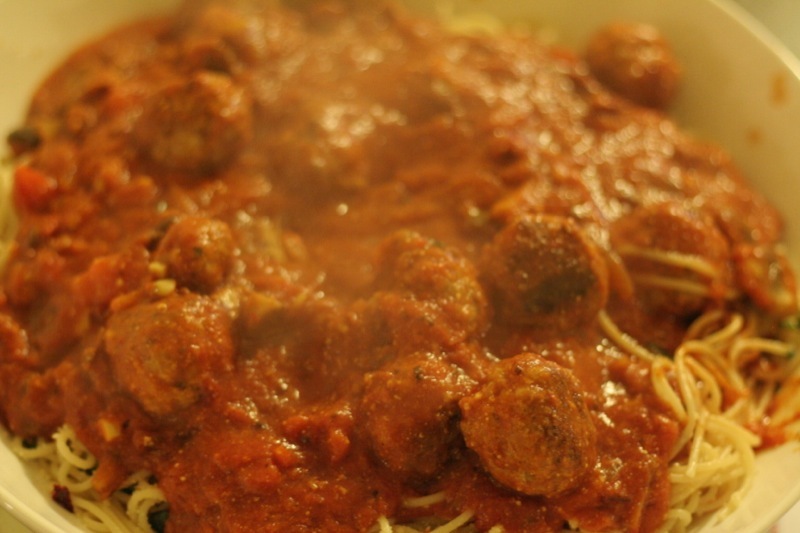 Once the meatballs are cooked through (only about 5 or 6 minutes in the pasta sauce), pour the sauce over the pasta. Sprinkle with more cheese and serve!